5 Seconds Of Summer's "Good Girls" landed at number eight on the Billboard Digital Songs Chart this week with 121,000 downloads, the biggest sales week yet for the pop/rock four-piece. The track is taken from the band's self-titled full-length album that drops July 22nd. 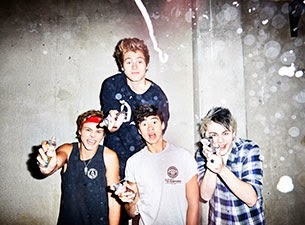 Don't forget, 5 Seconds Of Summer will be touring across North America later this year supporting One Direction. Dates and ticket information can be found here.